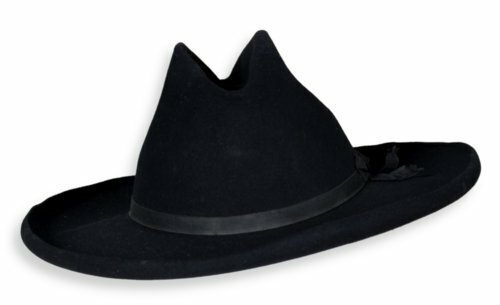 Wide-brimmed black felt western-style Stetson hat with satin ribbon around base of crown. Made by the John B. Stetson Company of Philadelphia. This hat belonged to Hawley Varnum Needham (1842-1932) of Tonganoxie, Kansas.